How can counselling help you? What should you expect when starting counselling? Why “Opis” for counselling in Kent? I have written previously about saying “no”. Actually resolving to say no is the first step, but what do you do when the other person won’t hear it? You might be JADE-ing. There are of course times when saying “no” isn’t appropriate – e.g. to a policeman, your boss, or to someone who is asking you to stop doing something that causes them harm. This article is not about those times! I have previously linked to this excellent article on how any why you might say no. However, I’m sure we have all been in situations where, for example, “I’m sorry, I’m busy” doesn’t work. At that point, it is tempting to start JADE-ing. JADE-ing is when we come up with various reasons why we want to, need to, or choose to say “no”. With friends who care about us, it’s not so much of a problem – we want to soften the “no”, to avoid hurting them or our relationship. The problem arises when we are faced with someone who cannot or doesn’t want to accept our “no”, who hurts us with their demands. When faced with this situation, JADE-ing doesn’t help. Giving reasons or explanations, defending your choice or arguing with the person hands them more opportunities to not hear your “no”. Offering up information as to why you are saying no enables them to provide ways round it. It’s as though you are saying “yes, but…”, and asking them to find ways to make it happen. It’s easy to think they will understand your point of view if you just explain it to them. Unfortunately, that is only true if they are actually interested in your point of view – and they might not be. JADE-ing can be exhausting, and doesn’t actually get you any further than just saying “no” does. It can even make it worse, as someone without your best interests at heart might then turn the situation round and insist you are the one causing the problem. JADE-ing is a habit we can so easily fall into. We can even end up JADE-ing ourselves! Saying “no” can be an act of self-care, but when we are used to putting the needs of others first that we end up working really hard to convince ourselves of that. It’s okay to say, “because I feel like it”. So how can you tell if you are JADE-ing? You might feel confused, uncertain, scared, or attacked. You might find yourself struggling to find the ‘right’ words, going round in circles or off the subject. The other person might start making accusations, becoming aggressive or otherwise escalating their demands. Stopping JADE-ing and saying “no” outright might cause some ruffled feathers for a while. There may be various consequences, such as changes in or even endings of relationships. Only you can decide if you are able to accept those consequences. Where do you want it to end? Can you stop JADE-ing? I’m sure you’ve heard people complaining that “Christmas starts earlier and earlier”. It does seem to start sometime around August lately. If you love Christmas and everything that goes with it, this is excellent news! However, if you are feeling Christmassed-out, you might be worried about the upcoming week or two. The enforced jollity and pressure of social engagements, preparing for activities and the requirement to “be HAPPY!” might be exhausting and overwhelming. It can be very difficult to admit to not really feeling it, especially if people around you aren’t willing to accept your feelings. Matt Haig recently wrote an article about his experiences of battling depression at Christmas and what he learned from it (content warning: depression, suicide). 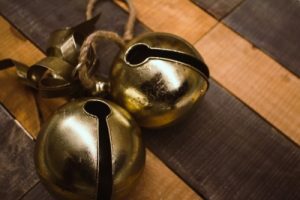 I’ve written before about various ideas to get through the Christmas period if it isn’t going well for you – including looking at your ‘shoulds’, mindfulness, grounding and using support networks. Recently KentOnline published an article, “Where can I escape Christmas in Kent?”. Please note that a couple of the listed events have now passed, but there are still some good ideas there. It can be especially difficult to say “no” at Christmas. Some people will use the season as an excuse to ramp up expectations and use emotional blackmail to get you to do what they want. Perhaps you’ve heard “But it’s Christmas!” or some reference to “goodwill to all” used in this way? Fortunately, The Pool has recently published an excellent article with suggestions of techniques you can use to tackle this. Maybe you feel it is too late to change things for this year now. So, this year might be a chance to take stock of what works for you and what doesn’t. You can start making changes early enough next year that people can get used to it. It’s okay if you would rather stay home at Christmas. If you would prefer to have a ‘quiet one’, that’s fine. If you want to skip some events and go to others then do so. You are not obliged to justify yourself! I wish for all of you to have the Christmas which brings the most happiness to you, whatever that looks like. I will be closing on Wednesday 20th December 2017 and reopening on Tuesday 2nd January 2018. Any texts, calls or emails during this period will be answered as soon as I can do so after reopening. If you need to talk to someone between these dates, there is a list of other organisations and their contact details here. 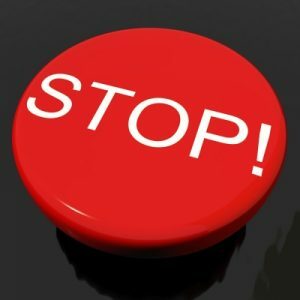 I found the article “The People-Pleaser’s Guide to Saying No” this morning, and thought it was excellent. It isn’t easy to say no, as I have written about before. However, saying no is a necessary part of self-care – sometimes, the things people are of us are just too much to take on. You might find yourself unable to do the things you need to do, because your time and energy is taken up elsewhere. You might even find yourself resenting the person who asked you to do the task – and they may not even realise how much you have taken on and how you feel about it! Saying yes can be very rewarding – the satisfaction in having a good interaction with someone, the joy of helping someone do something, the pride in an achievement. However, when there isn’t a balance between your yeses and your noes, things can go very wrong. It might not be just you that suffers – the article gives a good example of a man whose nearest and dearest were suffering because of his inability to say no! The book “When I Say No, I feel Guilty” by Manuel Smith is a useful classic if you find you have difficulties in saying no. After all, it isn’t just saying the words which is tough (yes, getting such a little word out can be really difficult! ), but there is also potential fall-out to consider. You may find that people react badly to a bald “no”, so the article linked above has some handy suggestions for ways to soften it and help things go a bit more smoothly. Like anything, being comfortable saying no takes practice. You may get it wrong or stumble several times – that’s okay! Reasserting your boundaries may be tough for a while as the people around you get used to it – that’s okay too! What changes might you see if you balanced your yeses and noes more? Would you like to make those changes? Do you make time for yourself? It is very easy to rush around non-stop taking care of things that other people ask for – but is anyone doing that for you? Taking time for yourself to refresh and recharge is a really valuable part of self-care. It can be difficult to find the time, very difficult to ask others to help us make the time. However, the only person who can make that time for you is you… and you are also the best person to stand up for your right to do that. Saying “no” is not necessarily selfish or unkind – it can be a necessity. After all – if you never say “no”, what is your “yes” worth?